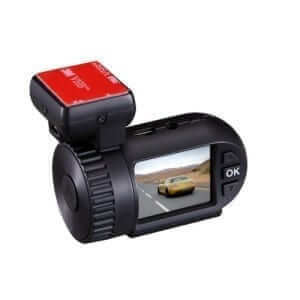 Lukas are one of the leading and most professional Korean based Dash Cam manufacturers that have been specialising in high-end Dash Cam production since 2009. Korean Dash Cams and Korean made Dash Cam quality is world renowned thanks to their attention to detail during design, testing and production. The QVIA branded Dash Cams are Lukas’ premier, top of the line models that are impeccably designed, built and manufactured. The QVIA Dash Cam line up is made up of durable and reliable units that boast the highest temperature resistant ratings on the global Dash Cam market. The QVIA Dash Cam design and features are clean, professional and confident which is attributed to Lukas’ high expectations on innovation and quality. 1. 1440P Quad HD resolution + 5.5MP SONY STARVIS sensor which significantly differentiates the QVIA QR790-1CH from most single channel models on the market. The 1440P QHD + 5.5MP front camera video quality is sharper and clearer while giving you a much better opportunity at picking up details on the road around you. 2. Extremely high operational temperature resistance of 80°C and even higher storage temperature rated to 90°C. These high temperature ratings speak volumes for the quality and heat tolerance of the individual components and overall design. 3. Ambarella A12 processor. 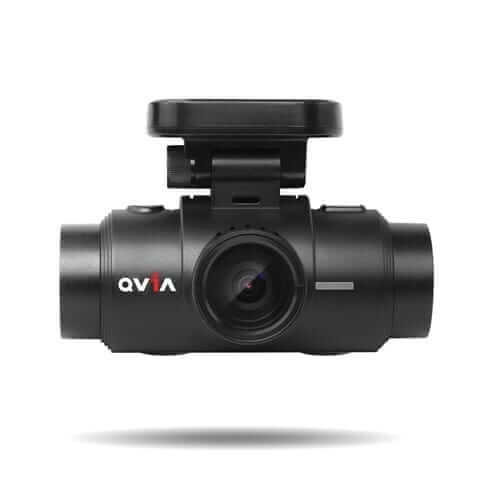 The brains of the QVIA QR790-1CH Dash Cam is the intelligent Ambarella A12 chipset which is the most powerful processor available for a Dash Cam. The Ambarella A12 allows for excellent settings customizability while ensuring the Dash Cam operates seamlessly. 4. Micro SD card partitioning. The Micro SD card can be partitioned by selecting the % of space dedicated for driving files, parking mode files and impact/event files. So if you park up for a couple of days, you can reduce the driving file space to 10% and the parking mode file space to 80%. This means there is less chance the parking files will be overwritten by other types of files. 5. Pre-buffered Parking Mode recording with dual motion & impact detection. The QVIA QR790-1CH Dash Cam records 30 second parking mode files when triggered by either motion and/or impact. This is split into the all important 10 seconds before the trigger and 20 seconds after the trigger capturing the lead up to the event. The motion detection areas and motion sensitivity around your car can be tailored. The G-sensor impact sensitivity can also be tailored when in parking mode depending on your needs. *Parking mode operation requires hardwiring with the included QVIA hardwire cable. 6. Clean, cylindrical design which is simple to align on the windscreen. Unlike other cylindrical designs on the market, the QVIA Dash Cam lens is centred in the body. This means there is no need to offset the QVIA Dash Cam on the windscreen to record an even left and right view of the road. 7. Wi-Fi connectivity so the QVIA QR790-1CH connects to a compatible smartphone (iOS and Android*) and controlled via the free QVIA App to change settings and watch/download video files. The GPS processor is built into the mount and will log the vehicle speed and coordinates while stamping this data onto the footage. When viewing video files via the free QVIA Software Player (MAC and Windows compatible), the vehicle location can be seen on a Google Map overlay. Camera settings can be changed in either in the intuitive QVIA App or in the QVIA video player for added convenience. 8. Included accessories. The QVIA QR790-1CH Dash Cam comes with loads of accessories included in the box – and all for a great price. Included is the hardwire cable for parking mode recording, a cig lighter socket power cord, a 16GB Micro SD card and a UV filter which protects the lens from UV rays. Lukas have been very generous in their offering. Always Files – these are purely driving only files – 3 minutes long. Event Files – these are purely G-sensor (impact) and/or manual Hazard/Emergency button files button files. 30 second files, saving the important 10 seconds before trigger and 20 seconds after trigger. Motion Files – these are purely parking mode motion files – 30 second files, saving the important 10 seconds before trigger and 20 seconds after trigger. The Lukas QVIA QR790-1CH Dash Cam is one of the most popular 1440P QHD single channel Dash Cams. The high-end specifications, impressive quality and functional features are appealing to many Australian drivers. You’ll have confidence owning a QVIA Dash Cam. *Specs above are for QVIA QR790-2CH system. Specs for QVIA QR790-1CH system are same as above minus the rear camera specs. We offer a seven day money-back guarantee policy for change of mind or faulty products. Returned goods must be unused and contained in their original, unopened packaging. As a part of our terms and conditions, in any situation where the product needs to be returned to us, the customer is responsible for the return delivery fee and Dash Cams Australia will cover the cost back to you. All emails will be answered within 1 business day. If you do not receive our reply, please kindly re-send your email and we will reply to you as soon as possible. Need help or unsure? If you have any questions regarding delivery please contact us.